Archaeologists often come across ancient human burials during their excavations. It is less often, however, that human burials come across archaeological excavations. This is what happened, however, to one particular funeral procession a few years ago, in the town of Tepe in Southeastern Turkey. The goal here* is, rather than arrive at a fixed definition of Ethics, to simply reflect upon some of the particular ramifications of the case-study in relation to archaeological ethics, local communities, and scientific practice. 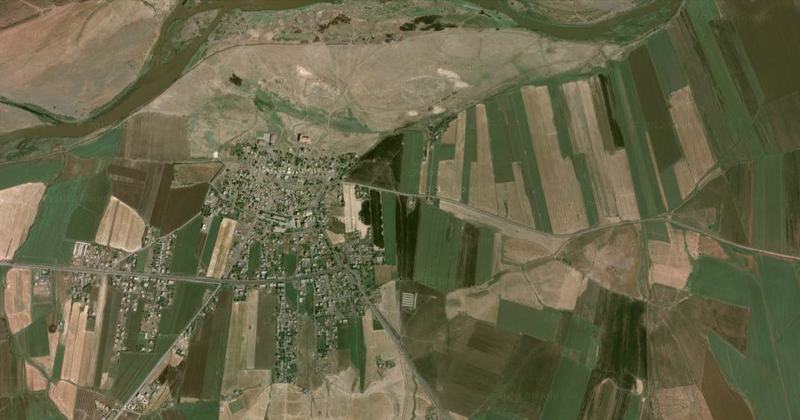 Ziyaret Tepe was a provincial Assyrian capital on the northern peripheries of the Empire. It is made up of an upper town (or citadel mound) and a much larger lower town surrounding the citadel on three sides. The site has been under the scientific scrutiny of a very talented, multidisciplinary, and international team of archaeologists since the late 1990s. The excavations are part of a larger salvage project that aims to study the ancient sites and past landscapes of a region, situated between the cities of Diyarbakir, Mardin, and Batman in Southeastern Turkey, threatened by the construction of the Ilisu Dam. Over the last years now, the foreign archaeologists have spent their summers (if somewhat on its peripheries) in nearby Tepe, a Kurdish-speaking town of approximately 8,000 people. Every year, the foreign excavations hire 60 local, most of them, men from the town to work as manual labor for this scientific enterprise. During the work season, activities at Ziyaret Tepe follow a very straightforward schedule: The archaeologists wake up at 4AM, drink some cay, drive to the site, where the workmen are waiting for them, begin excavations at 5AM, pause for breakfast at 9AM, drink some more cay, and continue work until the sun is no longer bearable. In the afternoon, after lunch, they take a short nap, a break for cay, resume work in the office until happy hours, time for a beer, dinner, and often, one last cay before heading to bed to wake up again the next morning at 4AM. Except for Friday and Saturday, the two days off, nothing much interrupts this planned routine. Excavations at Ziyaret Tepe run smoothly, much work gets done, the atmosphere among the team members is collegial, productive, and fun! During a recent season, however, excavations had to be interrupted momentarily. A respected female member of one of the most powerful family in town passed away. Her final resting place would be in the family’s cemetery, located on top of the mound, among her relatives’ graves. Following Muslim customs, burials at Tepe usually take place the same day or the next morning of a person’s death. In this case, however, long discussions between the senior members of the family, the director of the Ziyaret Tepe project, the museum director in Diyarbakir, the site’s government representative, as well as the local jandarma, and the town’s imam, took place in order to decide when and how the funeral would take place. But, why these long discussions? 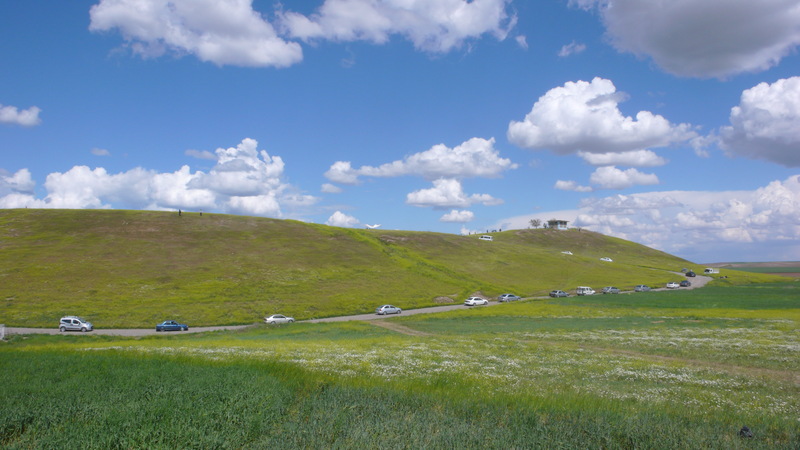 The mound of Ziyaret Tepe represents different things for different people. For the archaeologists, it is their workplace, their laboratory, the archive that can potentially provide all of the answers to all of their research questions. The Turkish Ministry of Culture and Tourism sees the mound as an archaeological site. It belongs to the State, a part of its national heritage to be protected and preserved, and eventually exploited in order to bring in tourist money. The Diyarbakir museum serves the State by facilitating the work of the archaeologists–even if, most of the time, the museum and the government representative are perceived by the team as intruders rather than facilitators. 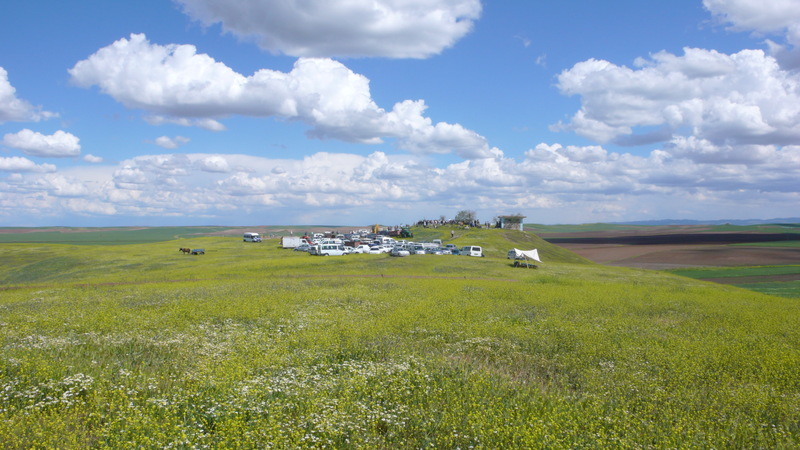 By law, Ziyaret Tepe, an archaeological site, is public land. It is, therefore, illegal to have a burial there. But, for the villagers of Tepe, the mound holds a different significance. If the lower town is owned privately and farmed, wheat, cotton, lentils, etc. a part of the upper town is used as a traditional burial ground. The balance between foreign archaeologists, the Turkish state, and local communities, to say the least, can sometimes be delicate… now, there are other cemeteries in Tepe; the largest and most recent one located to its north, just outside the old part of town. So, why did the family have to choose this one? the one cemetery located on top of the mound? To answer this question, let me tell you a little bit about the religion, politics, and society of Tepe. 1) Politics: Before the foundation of the Turkish Republic, the village of Tepe, located south of the Tigris River, held its own as an important local center not too far from Diyarbakir, the regional capital. In the 1930s, however, Ankara designated neighboring Bismil, north of the Tigris –at the time, a smaller but Turkish-speaking village– as the head of the ilce or county. Ankara, at the same time, also decided that the newly built railroad connecting Batman with the rest of the country would stay north of the Tigris and pass through Bismil. Today, the main highway connecting Diyarbakir and Batman also follows these train tracks. Thus, Bismil, with its new roads, schools, banks, post office, hospital, began its growth early during the Republican period. Tepe would have to wait until the 1980s, and the arrival of electricity, and the migration of villagers caught in the conflict between the Turkish army and the PKK beginning in 1984, in order to see its population dramatically increase. This has affected the morphology of Tepe itself; creating a pre-1980 village, with its mud brick houses, small dirt streets, an old mosque, in what used to be the center; and a post-1980 town, with its cement houses, new mosques, a large asphalt road for cars, its schools and internet café: a new town center, if you will, on the peripheries of the old village. 2) Society: Tepe today has a population of about 8000 people. On the one hand, the poorer immigrant families that fled their villages to settle in Tepe after 1984. And, on the other hand, four large wealthi-er “tribal families.” Now, these families refer to their families as families, not tribes, too retrograde of a term… but I believe that they share many characteristics of a tribe, thus the term “tribal families.” The family of the deceased is one of the oldest and most respected in town. It has (or had, as the boundaries are not as clear today) a neighborhood of its own, a mosque of its own, used by the entire family for Friday prayer, as well as renowned members among its ranks, famous local politicians, and even a former Minister of Agriculture in Ankara. 3) Religion: As the morphology and social structure of Tepe changed, so did its cemeteries. Old cemeteries were abandoned, too small, too crowded, too far from the town, and a new large cemetery planned and implemented to the northeast of the town, in order to accommodate its growing population. But, if today, the new cemetery is functional, adapted to the changes the town went through; an older cemetery has remained on top of the Ziyaret Tepe mound, a cemetery trying to keep a tradition alive. The name Ziyaret itself means to visit; a visit to the top of the mound for praying, a mini-pilgrimage, if you will. On top of the mound, besides the cemetery –workmen often take their 9 o’clock breakfast next to the tombs—besides the cemetery, there is a turbe, a small shrine built around the tomb of Sheikh Muhammad, an important and respected religious leader, who lived and died in Tepe; 4, 5, maybe 6 generations ago, no one is really sure. His sister Belkis also has her own turbe nearby on another natural mound. She is known to sometimes visit the women of the village in their dreams. Now, back to why the family absolutely wanted its grandmother buried on top of the mound? I will answer this question with another question: If it had been your grandmother, would you want her to rest peacefully on top of the Ziyaret Tepe or would you want her bones mixing with these lower class, immigrants, in the new cemetery set apart recently by the local municipality? And so, in the end, after long discussions between, again, the senior members of the family, the director of the Ziyaret Tepe project, the museum director in Diyarbakir, the site’s government representative, as well as the local jandarma, and the town’s imam, each stakeholder explaining its point of view, the funeral procession –expensive foreign cars lined up one after the other—finally made its way up the mound. The family came in large numbers to attend the funeral. They parked their cars on the top, got out, gathered around the grave, and offered a last prayer to its departed, temporarily halting the archaeological excavations of the multidisciplinary and international scientific team. First of all, both archaeological excavations and funeral processions are highly ritualized events. The ritual of archaeology involves unearthing things from the ground, sanitizing them into artifacts, documenting them for publication, publishing them following specific forms, the literary and visual tropes of scientific reports. A funeral in Anatolia, another type of ritual, involves closing the eyes of the deceased, washing the corpse by a professional, wrapping it in a white shroud, turning the head towards Mecca, not just reciting but also performing a prayer, which also follows a specific form, the literary and visual tropes of religious practice. Second of all, more obvious perhaps, both archaeological excavations and funeral processions require the digging of earth out of the ground. As the villagers of Tepe, over the years, have dug holes and placed their relative’s corpses wrapped in white shrouds with their heads facing Mecca, filling up the mound, so to say, as a way to cope with grief; foreign archaeologists have also dug holes, looking for data and artifacts, emptying the mound, so to say, of its most ancient objects, and offering a few carefully selected ones a final resting place, an afterlife, if you will, inside a museum display case. Third of all, both archaeological excavations and funeral processions are attempts at remembering the past. Archaeologists remember and reconstruct the past scientifically, offer hypothesis, interpret data, create explanatory models. Funerals are also ways of remembering the past, moments when we remember the life of a loved one, we raise tombstones that allow family and friends to come together in moments of remembrance. To conclude, despite the resemblance, comparing excavations and funerals also remind us that archaeologists and local people have different ways of remembering and envisioning the past. Archaeologists come to Tepe a few months a year, focus on a specific area, the mound, excavate its layers which are superimposed one on top of the other, they visualize the past vertically. Local people live in Tepe all year round, the past and present intermingle in the landscape more freely, if buried it is more easily forgotten. In contrast, the past for locals is here and there, and everywhere, laid out horizontally in the landscape. Having said all of this, I will make one last point that we can all keep in mind when thinking about archaeological ethics, scientific practice, and local communities. Archaeologists live and work at Ziyaret. The mound is their workplace. Locals live and die at Tepe. The mound is their resting place. Posted in TurkeyBookmark the permalink.